Jason Sherlock provides the website to you on the basis of the following terms and conditions ("Terms and Conditions"). By accessing any page on this Jason Sherlock Website, you agree to be bound by these Terms and Conditions. These Terms and Conditions may be updated by Jason Sherlock from time to time by posting the updated Terms and Conditions without prior separate notification to you. You should check the Terms and Conditions each time you access the Jason Sherlock Website to check for updates. 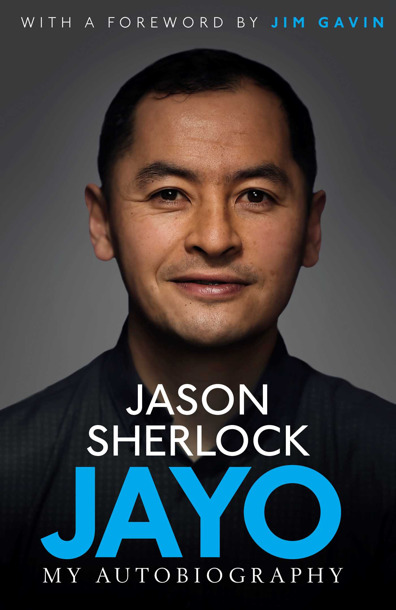 You will be able to obtain information about certain Jason Sherlock products and services on this Jason Sherlock Website and you may also submit queries to Jason Sherlock to receive more information. The Jason Sherlock Website and any support are provided to you at no charge and are for your personal and non-commercial use. Any support provided to you is for information purposes only. Jason Sherlock reserves the right to make changes to the Jason Sherlock Website; or not reply to any queries; or not provide any support in connection with the Jason Sherlock Website. ason Sherlock reserves the right to remove any materials from the website where it reasonably suspects that such material is prohibited by this Section 3 or is otherwise inappropriate. Notwithstanding the foregoing, you acknowledge that Jason Sherlockhas no control over content on the website provided by other users, neither does it purport to monitor the content of the website to ensure its accuracy, appropriateness or conformity with the principles outlined in these Terms and Conditions. You must not link to the Jason Sherlock Website other websites which are indecent or inappropriate, and you must forthwith remove any link if Jason Sherlock in its discretion so requests. You agree to indemnify Jason Sherlock and Jason Sherlock affiliates against any claim, demand, loss or damage suffered as a result of breach of this Section 3. Jason Sherlock hereby excludes all conditions, warranties, representations or other terms concerning the supply or purported supply of, failure to supply or delay in supplying any service in connection with the Jason Sherlock Website or that the Jason Sherlock Website is accurate, complete or up-to-date, which might but for this Section 4 have effect between Jason Sherlock and you, or would otherwise be implied into or incorporated into these Terms and Conditions or any collateral contract, whether by statute, common law or otherwise. You understand and agree that you are using the Jason Sherlock Website at your sole risk and that Jason Sherlock does not warrant that the Jason Sherlock Website will meet your requirements or that the Jason Sherlock Website will be uninterrupted, error free or secure. Any content or services provided via the Jason Sherlock Website or in connection with the Jason Sherlock Website by Jason Sherlock is done so on an "AS IS" and on an "AS AVAILABLE" basis and Jason Sherlock makes no representations or endorsement of any kind, whether express or implied, with respect to the Jason Sherlock Website for the content or services included in, or made available in connection with, this Jason Sherlock Website. Jason Sherlock reserves the right at its sole discretion, to amend or withdraw any content or services offered as part of the Jason Sherlock Website. Jason Sherlock, any other party (whether or not involved in creating, producing, maintaining or delivering this Jason Sherlock Website), and any of Jason Sherlock group companies and the officers, directors, employees, shareholders or agents of any of them, exclude all liability and responsibility for any amount or kind of loss or damage that may result to you or a third party, (including without limitation, any direct, indirect, punitive or consequential loss or damages, or any loss of income, profits, goodwill, data, contracts, use of money, or loss or damages arising from or connected in any way to business interruption, and whether in tort (including without limitation negligence), contract or otherwise in connection with this Jason Sherlock Website in any way or in connection with the use, inability to use or the results of use of this Jason Sherlock Website, any websites linked to this Jason Sherlock Website or the material on such websites, including but not limited to loss or damage due to viruses that may infect your computer equipment, software, data or other property on account of your access to, use of, or browsing this Jason Sherlock Website or your downloading of any material from this Jason Sherlock Website or any websites linked to this Jason Sherlock Website. This shall not affect your statutory rights. Nothing in these Terms and Conditions shall exclude or limit Jason Sherlock's liability for (i) death or personal injury caused by its negligence; (ii) fraud; or (iii) any liability which cannot be excluded or limited under applicable law.